Yesterday marked the first day of “This Is Not A Toy: An Exhibition Of Contemporary Art and Collectible Design” at the Design Exchange. Curated by John Wee Tom, Sara Nickelson, and Pharrell Williams with the help of President of the DX, Shauna Levy, the exhibition focuses on how the different genres, fine art, marketing, pop culture, product, and graphic design are inter-relatable. The exhibition is showcasing a range of widely-recognized, international artists whose works explore the ambiguous line between art and design and provide a platform for conceptual discourse. The artists include: Takashi Murakami, Pharrell, KAWS (Brian Donnelly), FriendsWithYou, DOMA, Kidrobot, Yoshitomo Nara, Misaki Kawai, MediCom Toy Inc, DEVILWROBOT, and Magic Pony. The Design Exchange (DX) is Canada’s Design Museum, the only museum dedicated to narrating the history of design and showcasing the works of contemporary designers. 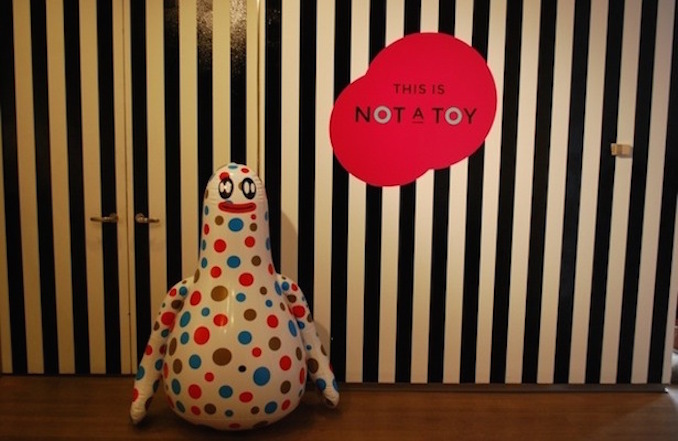 “This Is Not A Toy” is an exciting exhibition for the DX, since it represents many firsts for the museum. 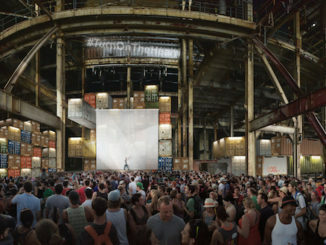 To begin with, it is the largest exhibition the DX has ever curated. 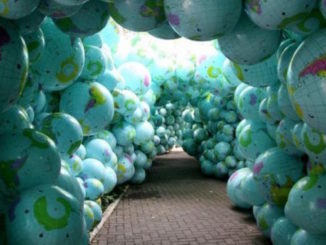 Previous large exhibitions, such as the Christian Louboutin exhibit or the Happy Show, were traveling exhibitions, curated by individuals outside of the DX. 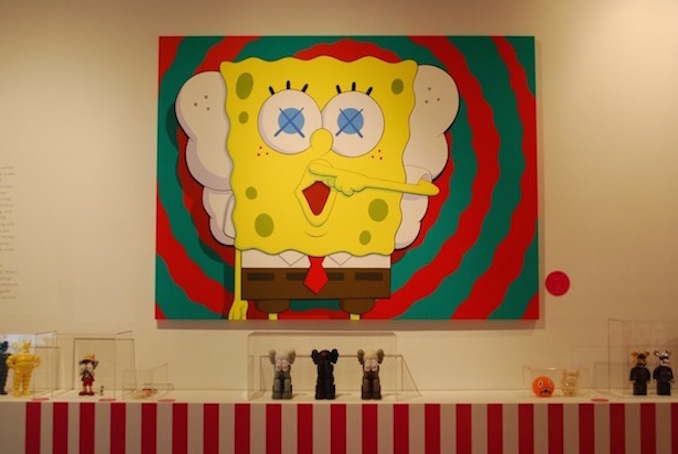 “This Is Not A Toy” signifies the first time where famous artists such as KAWS (Brian Donnelly) and Takashi Murakami have exhibited their art-works in Canada. 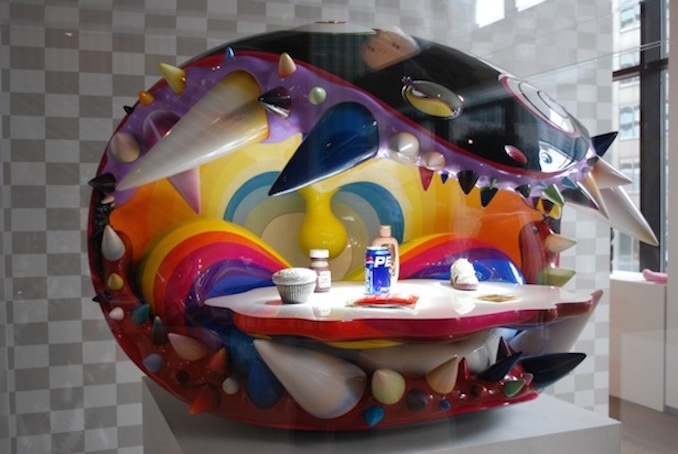 Further, the exhibition represents the first time Murakami has exhibited his works in a Design Museum. Curator, John Wee Tom, says that this is a testament to the relationship Pharrell has with Murakami, who convinced him of the important opportunity to show his works at the DX. Guest curator, Pharrell Williams, finds much of his inspiration for his music in art. Recently awarded “Producer of the Year” at the Grammy’s in 2013, Pharrell excels in the music world and still finds time to collaborate and commission works in the art world. 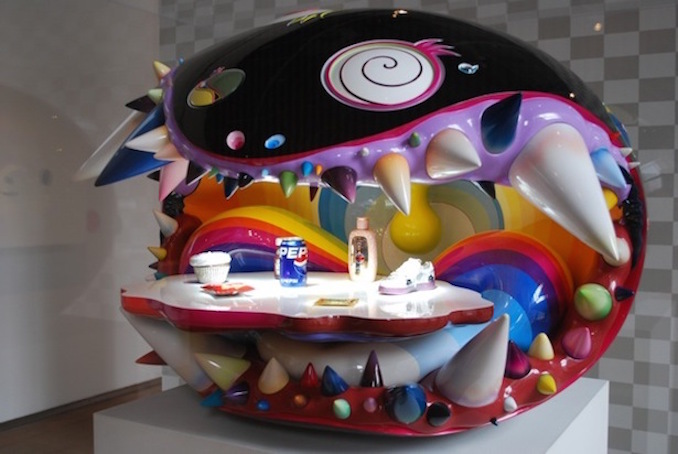 In “This Is Not A Toy”, Pharrell and Takashi Murakami, one of the top contemporary artists in the world, collaborated to make “The Simple Things” in 2008-9. Made of a wide range of mediums, including glass fiber, steel, acrylic, wood, LED, gold, rubies, sapphires, emeralds and diamonds, “The Simple Things” is a natural highlight of the show. The paradoxical work juxtaposes everyday objects and brands with extravagant and rare materials, resulting in a captivating visual experience. 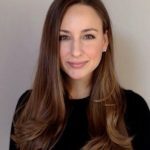 The work has only been publicly shown a couple of times, including at Art Basel Miami when it was first made and in Versailles, due to its private ownership by a woman in Miami. John Wee Tom described Pharrell as “a creative whirlwind” and instrumental to introducing the DX to artists, like Takashi Murakami. Tom says that collaborating with the DX this year was Pharrell’s way to give back to the creative community. The name “This Is Not A Toy” was inspired by the disclaimer often found on packaging for objects, such as “not for ages 6 and up.” The name is also grounded in Rene Magritte’s famous painting, “Ceci n’est pas une pipe.”, which plays on the link between commodification and art, and begs the question we all ask time to time: what is art? Art toys may be called toys, but they are not intended for play. Rather, they are conceptual. As Tom described it, they are “toys of the mind.” Art toys are collectible items, a cult-like art form made of urban vinyl, existing in a post-Pop world. 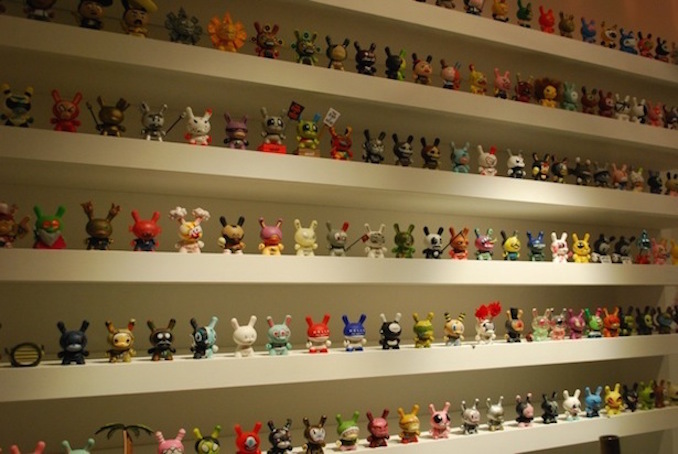 Art toys first became popular in Japan, where art forms are not divided into categories. Unlike in the West, where we make a distinction between high art and low art, Japanese culture sees every artistic creation as equal. The inspirational roots of art toys lie in street culture, hip hop and graffiti: categories that are considered “low brow art” in the West. Art toys are a new type of art medium, that possesses no boundaries in terms of who can enjoy this type of art. Designers of art toys relish this idea of accessibility. 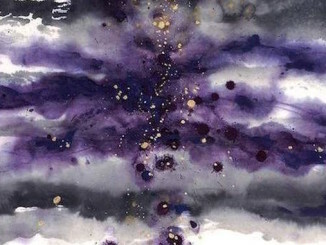 The medium opens a metaphorical door to those who were previously excluded from the art world. Magic Pony was approached by the curators of the DX to be a part of the show, mainly due to their love for the ten year old brick and mortar shop on Queen Street West. The store allows for toys to become a platform for people to discover new artists, designer toys, fashion, art products and limited edition goods. Magic Pony is a “champion for designer toys in Canada”, says co-founder Steve Cober. Magic Pony collaborated with the DX multifold: with their pop-up shop downstairs in the main lobby and their “Pon Pon Pony Jam”, an installation that showcases the character designs by international artists, Devilrobots, James Jarvis, Junko Mizuno, Michael Lau, Nathan Jurevicius and Pete Fowler. Go visit this exhibition, in the historic Toronto Stock Exchange building, at 234 Bay Street! The exhibition runs from February 7th to May 19th. Follow Marie on Twitter @MarievanZeyl.